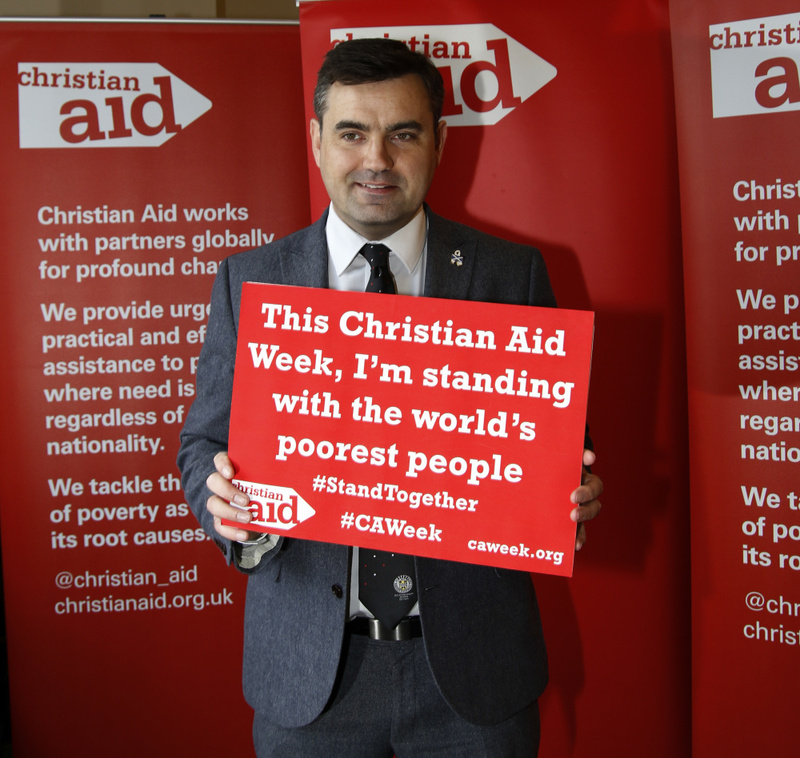 Gavin Newlands, SNP MP for Paisley and Renfrewshire North, has attended a Christian Aid Big Brekkie event in Parliament to show his support for Christian Aid Week which is taking place from the 13th to 19th of May. This year Christian Aid Week is encouraging the British public to stand together with the millions of displaced people who have been forced to leave their homes around the world. This has been an issue that Mr Newlands has been campaigning, and only last week, used a speech in Parliament to reiterate calls for the UK Government to do more to help those who have been displaced. Ahead of Christian Aid Week, Gavin Newlands MP attended the event in Parliament to find out about activities and events taking place during the charity’s annual fundraising week in Paisley and Renfrewshire North. Last year, £16,855 was raised in Paisley and Renfrewshire North during Christian Aid Week. “It was great to meet with the team from Christian Aid to find out about the activities that they have planned for this year’s Christian Aid Week. People from Paisley and Renfrewshire always come out in force to support Christian Aid Week and it was great to hear that last year local people helped to raise over £16,000 to support the activities of the charity. On Wednesday 1 November the Speaker of the House of Commons, the Rt Hon John Bercow MP, the Director General of The Royal British Legion, and over 90 Members of Parliament raced alongside serving members of The Armed Forces on an exercise bike to raise money for The Royal British Legion’s annual Poppy Appeal. The 12 hour bike ride was held from 08:00 to 20:00 in Portcullis House, Parliament and aimed to raise money for the Legion’s national Poppy Appeal. 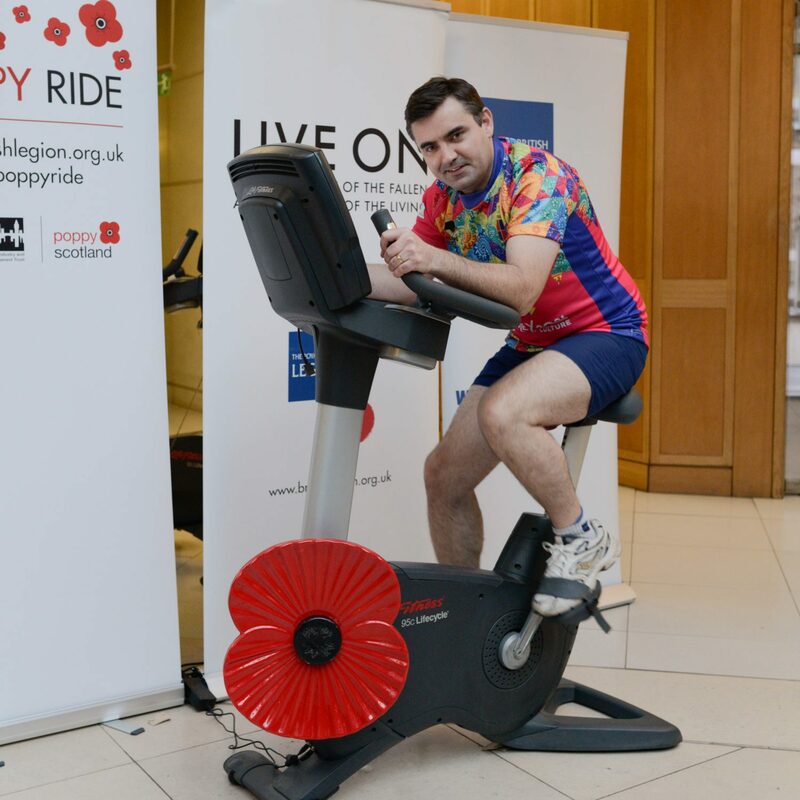 Gavin Newlands MP represented his constituency of Paisley and Renfrewshire North by cycling as far as he could in 5 minutes, with the hope of topping the leaderboard and beating his colleagues. Gavin managed to cycle 3.27km in 5 minutes. “I would like to thank the Industry and Parliament Trust and The Royal British Legion for arranging this event which brought together MPs from across the House to support the efforts of The Royal British Legion. A motion has been tabled in the House of Commons, wishing all home nations well ahead of the men’s and women’s competitions. Paisley Rugby Club are looking for junior players to join the club. New players of all ages and abilities are always welcome at the club and should contact coach@paisleyrugby.org.uk in the first instance.